Pin it! GAPS banana zucchini loaf. Pin it! 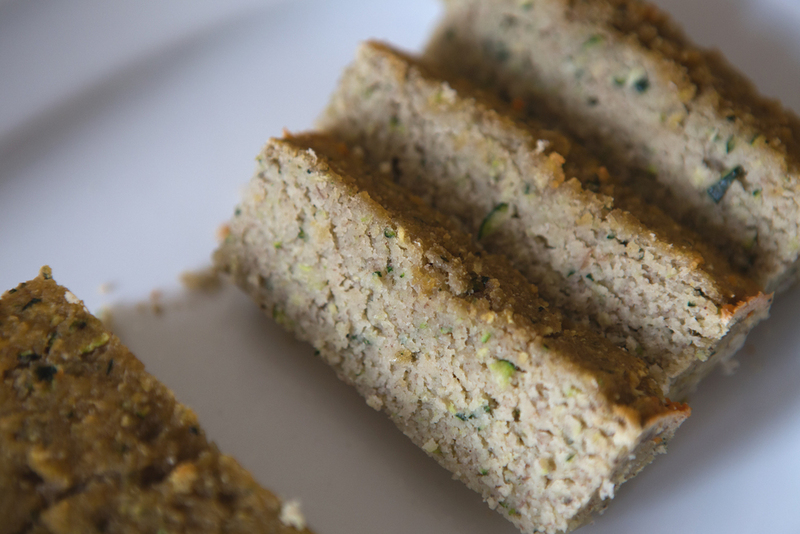 Healthy banana zucchini bread. Afternoon snacks in my household are mostly of the fruit variety - yogurt with berries, apples with almond butter, dried fruit and nuts, etc., so it's nice to switch it up for something a little heartier. This banana zucchini loaf was such a success I made it twice in one week and served the second loaf at a breakfast I hosted for a couple friends from work. It's moist, fluffy, and fantastic with a cup of coffee to combat the afternoon slump. *This is a savory bread. If you want it sweet add honey or your choice of sweetener. Preheat the oven to 350f. Put the zucchini in a food processor and process until it is finely chopped up. Put the zucchini in a cheesecloth and squeeze out the water. Then, mash the banana and add eggs and coconut oil. One by one, add the dry ingredients. Pour into a greased bread pan and bake for 50-55 minutes, or until you can pierce it with a knife and it comes out clean. Serve warm. PS- Kale and zucchini egg muffins, and chocolate and zucchini muffins.